If it Glitters - Did You Know? That Cleopatra was the best gold miner in history? That the mining industry's most used process, Froth Floatation, was actually patented by a housewife? That there are small amounts of gold in everything such as human excretion, 100 tons of which has been known to contain one ounce of gold? That most of the world eats gold for health reasons and that it was also quite common with pioneers? That Columbus taught the Indians pain? That there really was a golden goose? That most Spanish bullion was stolen from Indian graves? That the oceans of the world contain more gold than 100 times the total of all of the gold ever mined? 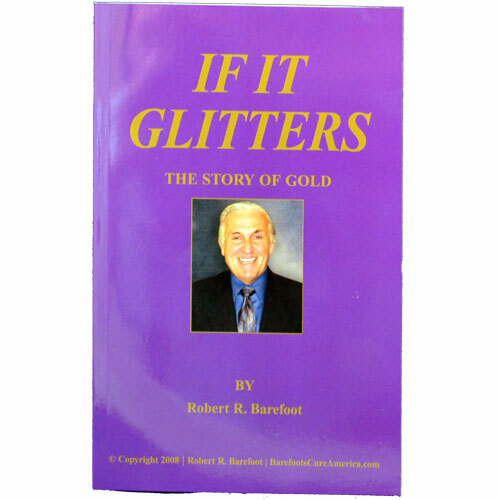 Challenge: To those of you intriqued by the questions above and more, you owe it to yourself to read "If It Glitters" and you will be entertained, educated and astounded as you learn the histories and mysteries of the most sought after comodity in history, GOLD!